Ministry Trip Report: Goiás State, Brazil 25th March -14th April 2015, by Director Peter Marchand. This was our second ministry trip to Brazil by invitation, building upon relationships formed in 2013. We opened with ministry at the Vineyard Church in Brasilia, followed by an adopted church there. From there we went to take a few days break in a rustic historical town, Pirenopolis, but found I was preaching in two churches there, with a request to return and speak in another church, and a Pastors and Leaders gathering, the following week. Great to be wherever and God blessed marvelously. Probably the highlight was the climax of a large church’s annual Missions Conference in Goiânia, where I spoke on Easter Saturday evening and Easter Sunday morning. It is a numerically large church with many church plants in Brazil and other parts of the world. Great honour to be part of that! However, the lowest point for me came that afternoon when I was taken to the dead body of a 25-year-old lady awaiting burial, with a huge expectation from the people that a raising from the dead would occur. It did not. And I did not pray for it. That presented me with a challenge I have not previously met, and I am still processing. The remainder of the trip went well, but naivety and inexperience on the part of the organizers meant that attendance at the final weekend Conference was poor. So the programme was rescheduled and we concluded in a large Assemblies of God church in Goiânia—I felt a bit like an intruder, but people came forward for salvation so heaven was rejoicing, even if I was a bit confused! (And they asked me back!). Another good moment was an unscheduled visit to the second largest university in Brazil, the Pontifical Catholic University of Goiâs, where we met with students (see picture below). Overall we visited 9 churches in three cities and one town, and donated a new laptop to a young fledgling ministry. There was a strong urgency from each place for me to return this year, but I offered July 2016. Thanks so much to all who financed and prayed for this trip. You made a good investment. One final observation—when I returned from Uganda in January I had malaria, and when I returned from Brazil in April my back completely seized up. On both occasions I was incapacitated for a couple of weeks. Next time, please keep praying even when the trip is technically concluded! Ministry trips such as the recent one to Kigumba, Uganda are not for the fainthearted! A brief note to say that I was not able to complete the final day of the programme. I was taken back to Lira, diagnosed with “+2 (on 0-3 scale) strong malaria” and put on intravenous drip. I needed to complete three doses in 24 hours in order to reach Entebbe in time for the flight back to UK. It is a 7 and a half hour journey, half of which is on abominable roads. The young driver, doing his best, hit a pothole at such speed that I hit the ceiling of the vehicle and cracked my head open! Blood everywhere. We pressed on, only to be stopped, not surprisingly, a few hours later by traffic police and given a hefty speeding fine. It was after taking advantage of hooking in behind an ambulance moving at high speed to Kampala that my faith level hit its peak and I asked him to slow down as I felt I was not yet quite ready for Glory. However, we reached Entebbe just as the gate was opened to check in for my flight. Upon contacting Milton to say I was back home safely, he replied to say the malaria had now hit him (at least he didn’t need to get to Entebbe!). Kigumba is a town in Masindi District, the centre of witchcraft and sorcery in Uganda. Our visit there was, again not surprisingly, strongly opposed – we had under-estimated and not researched sufficiently. The entire programme was accomplished except for the final church Service on Sunday, at which the pastor, who was the co-ordinator for the Conference and Crusade, spoke in my place. A significant number of people responded publicly to the calls to follow Jesus, and countless people were delivered through the power of the name of Jesus, of demons which manifested as they approached the stage, throwing them into fits and convulsions, flailing their arms and legs wildly in the air, and trembling and shaking and shuddering (it’s all in the Bible!). We give God the glory. Pastors and church leaders gathered for four consecutive days, putting aside for the first time their pride and jealousy, back-biting and criticism, and applauded again and again as I urged them to fight the real enemy, and not each other. Andhra Pradesh, India: September 2014 – successfully accomplished. Brief Report. Goiania, Brazil: 25th March – 13th April 2015. 5 day Missions Conference as guest speaker. Seminar Teaching and Church visits. It was an outstanding Ministry Trip. Outstanding in terms of the favour of God on the preaching and teaching, praise and worship, and ministry. Outstanding also in terms of challenges. Challenges: we survived a near fatal road accident as we travelled from Entebbe to the north. As we overtook a long series of six lorries and trailers at high speed the final one pulled out into the road to avoid children and forced us off on the other side. We thank God there were no children or people there, or rocks, ditches etc. Our main team vehicle has been repeatedly broken down due to faulty repairs on the front wheels – at one point we finally walked to our destination. Old school missionaries! Since we arrived Milton’s daughter collapsed and was in hospital with advanced malaria, his son was taken to hospital with a serious bacterial skin infection, his wife’s car broke down leaving her stranded in a remote part of the bush, her father was taken to hospital expected to die, we have had no electricity for three days so have prepared by night by candle and torchlight and no outside communication because phone batteries are down and not possible to charge! The District Security officer refused us permission in four venues on the grounds of security so we had to relocate at the last moment. This is because El Shabab have made it clear Uganda is their next target after Kenya because together the two countries fought against them in Somalia, so this whole nation is on the alert – even body scanners are used on everyone in larger church gatherings especially where there are foreigners. Milton is facing two outstanding court cases against him, one of which is coming up this week, as he is working voluntarily for the government rooting out corruption here in the north. Five cases against him so far have collapsed! Say no more … that’s the bad news! The good news… over 150 key church leaders from a variety of denominations gathered for three days from the whole District (roughly the size of Kent, UK). They were remarkably attentive to and appreciative of the teaching and preaching. Some had come by motorcycle, most by bicycle and others on foot. We fed them throughout and provided sleeping mats. We were following up an initial one day visit last year. This is in the region that was devastated by rebel activity in recent years. They have lost everything – homes, farms, cattle, crops and almost hope. That’s why we are there – to help them regain hope and reconstruct their lives, their dignity, sense of well-being and so much more. We also revisited Kaberamaido on the first Sunday. We have been there many times. We were last there in January 2013 for a major open air outreach and were following up, to demonstrate they are not just another place in a list of places, but people we relate to on a regular and permanent basis. The reception was overwhelming. We thank God so much for His provision and protection in all ways, and you for reading this and supporting us in whatever way. We will share the fruits and rewards when the time comes. I will write another report when the mission is complete. Please pray for continued favour with God and man in every respect. We took a day’s break from ministry to prepare for the second half of the trip. During the day we also investigated buying local language Bibles and bicycle spares, as both are in great demand. We were able to give 12 Bibles to those in need and who could not afford – that emptied the bookshop! When more become available we will distribute to others, together with bicycle parts as these are the two simplest and greatest needs for pastors and leaders where we are. The next District Leaders Convention was as well attended as the first. The mobilisation and ground work had been done well beforehand, and over 150 delegates were in attendance, representing 18 different denominations and networks. They have never met together before – many barriers and divisions, suspicions and prejudices were broken down, and new relationships, contacts and connections were made. They are expecting many more at the next Convention! The climax of the two days of teaching was a message on the essential importance of the continual refilling of the Holy Spirit for leaders to remain strong and effective in ministry. Every single delegate, including bishops and many zonal leaders came forward for prayer and the laying on of hands for the baptism in the Holy Spirit. We give God all the praise, thanks and glory! The final Sunday we spent at a town church some distance away. Attendance was low because of confusion about the time of the Service. Normally they hold two Sunday morning Services but as we were travelling from some distance they decided to combine into one, but failed to communicate clearly. Never mind – the gospel was preached and those present warmly received and appreciated the message of encouragement. The final day in Lira was spent sorting out business, discussing the future, updating on the remaining support we are providing for widows, orphans and others, settling finances and accounts, and producing many more copies of the teaching notes. 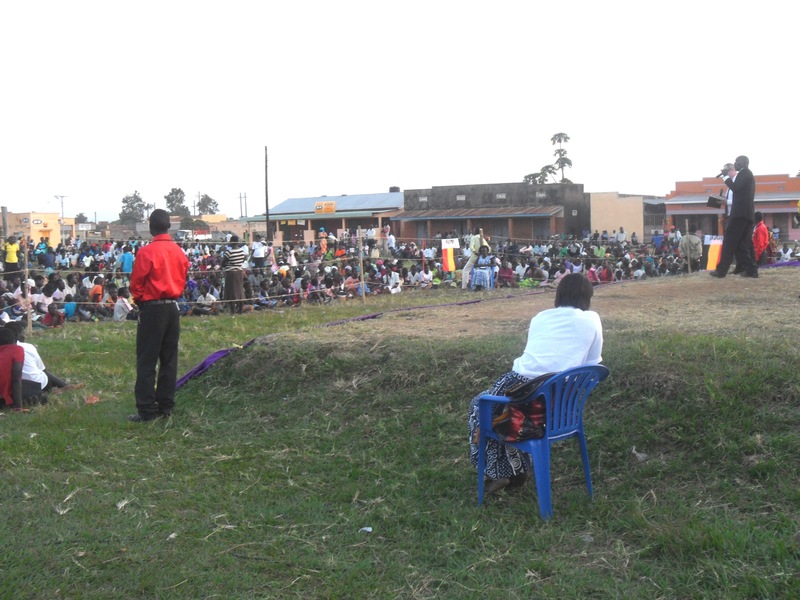 The next Ministry trip to northern Uganda is planned for January 2015, to include a major open air outreach in a new area, and another District Pastors and Leaders Convention. God bless you so much for standing with us. The next Ministry Trip is scheduled for mid-September in Andhra Pradesh, India. More news about that in due course. All the glory goes to God! GHANA: 1st – 8th January 2014. This was scheduled primarily to attend the Wedding of Evelyn Agyemang, Administrative Assistant with Inn CM in 2013-14, and to follow up former members of The VOICE, an International church planted by us in the UK in 2005. All went very well, and the Director was privileged to preach at the Thanksgiving Service the day after the Wedding. He also was invited to speak at another church in the area. He was hosted by our Ghana partner and his wife, Kwadwo and Akua Kyeremateng and their family. It was a wonderful opportunity to see how God is continuing to work in and through the lives of previous VOICE church members now they have returned to their home country. 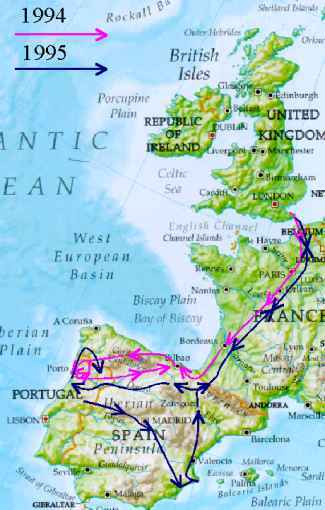 Sadly the trip in April 2014 was cancelled due to the Director’s personal circumstances. He had been invited as guest speaker at Missions Conference, with ministry elsewhere. God willing it will take place over Easter 2015 to coincide with the Missions Conference in Goiania next year. Our previous Brazil Ministry trip, from 17th to 29th October 2013 was been successfully completed. We thank God for His provision and protection. We were warmly received everywhere we went, and God moved powerfully in touching lives for salvation, re-commitment to Christ, empowering for ministry, and healing. We received one testimony of a man healed of cancer – “I am the Lord and I do not change” (Malachi 3.6). We give all the glory to God. See Inn-visuals. For a video summary and some stills, check out our Inn-Visuals page. The Director was privileged to work with Evangelist Reinhard Bonnke and to host him and the Christ for All Nations core team for a major crusade held in the largest marquee ever erected on British soil, at the Kent County show-ground, Detling. The event was called “Crossroads 2000” and took place in December 1990. As a result of that, Peter Marchand was commissioned by Reinhard Bonnke (one of our Patrons) to continue that kind of ministry in countries and places where Reinhard himself could not go. Consequently, Inn Christian Ministries was established as a Charitable Trust in 1991 (Reg. No. 1009911). 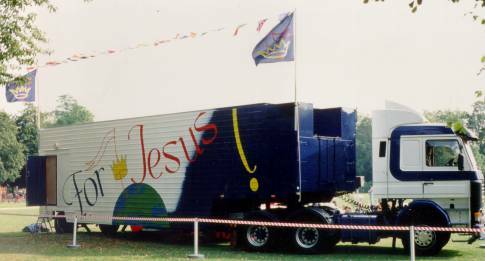 The “For Jesus” truck was purchased and the ministry of open air evangelism in Britain and the continent of Europe began. The Gospel was taken to towns, villages, marketplaces, shopping precincts and sea-sides, predominantly in Spain, and Portugal. From this emerged the invitation to minister in the same way in Uganda and then in India. Please read reports below. In Uganda, the social needs were so pressing that we realised we must seek to meet these to the best of our ability. Thus, the Social Action programme began. Over the years we have financially provided for numerous widows and orphans in Uganda. All have received sufficient to be fed, clothed and properly educated, including up to two years further training after leaving Secondary High School. However, this support is now being phased out due to the length of commitment for each child, which may be at least 20 years. We have provided many pastors with bicycles and motorcycles to facilitate and expand their ministries. We also send teaching materials, workbooks and devotionals to many different countries. Now these are transferred electronically to save high postal costs and unreliable delivery systems. Our materials have been translated into many different languages for local use. Being my first Ministry Trip, I was both excited and nervous. I had heard so many stories about the people and place and it was a great time to finally match names with the people and see these places firsthand. It was an honour to be invited and be alongside Pastor Peter as he ministered to all sorts of people from different backgrounds and to see so many, particularly kids, being saved. It was a wonderful experience, worth all the setbacks. 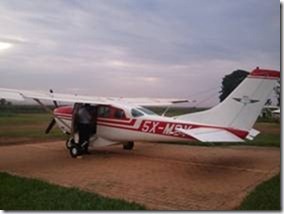 Fellowship (MAF) small 2-seater plane north to Lira. What a wonderful reception! It was as if I had never been away. First stop – Kaberamaido, with Berea Christian Ministries. We have been there many times before and held two major mass evangelistic outreaches, together with Conferences for pastors, leaders and church members. Happily, so many of those who gave their lives to Christ on those occasions are continuing in the faith, in a number of different local churches. The remainder of the week was spent revisiting church networks with whom we have worked in the past – particularly Power of Jesus around the World, Victory Outreach Ministries and Living Waters Pentecostal Ministries. Perhaps the highlight was the return to the very first rural church I visited, in 1994. The church has suffered so much, particularly from the LRA. Three times they have been scattered, returned and rebuilt. Resident still was Milton’s 93-year-old father, as strong as ever, still riding his bicycle and pleased to overtake men many years younger, and still serving as an elder in the church! Milton arranged that visit as a prophetic sign marking the beginning of another new season of fruitful friendship, fellowship, and combined ministry. We thank God! We were blessed to have Pastor Peter Marchand from England to come to India from 11 April to 03 May 2005. He ministered in local churches, Pastors’ Seminars and Open Air Outreach Gospel meetings. Peter gave encouraging messages in our church fellowships and the believers are uplifted in the churches. To equip pastors and church leaders, we arranged Pastors’ Conference for three days in Puritigadda. The ministry took place among church leaders and evangelists working in the villages of coastal districts in Andhra Pradesh state. 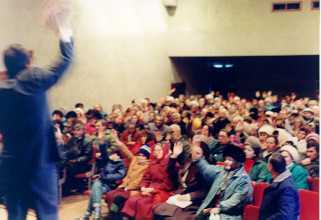 More than 160 delegates participated in each conference. They came from up to 250 kilometres away, on foot, bicycle and public transport, to reach the Conference. The pastors slept on the floor. The seminars were very well received by those who attended. Many pastors have said that they appreciated the teaching and were encouraged particularly about the purpose of the church and the ministry and they want to put it into action. In the two evenings, Peter gave powerful messages to Pastors about divine ordination and fire. Many said they had experienced the presence of the Holy Spirit and were filled with the Holy Spirit. The overall fellowship between the pastors was a great benefit to all and they were appreciative of the Biblical instruction given to them. Our ministry has expanded during the last three years as many pastors have joined in our fellowship. Most of them are young, energetic and are working diligently to spread the Gospel in various areas. Peter preached the Gospel at 14 different Gospel meetings held in various places in Krishna district, Andhra Pradesh. These were held in the villages and were well received by the village people. Many people who listened to the messages appreciated the message because Peter put it very clearly how he expressed. What a blessing to have anointed man of God to come and minister in our area. Please Pray for more souls to be added into the Church. The steady growth and expansion of the church among Hindus is a sign of God at work in individual lives and transforming communities through faithful preaching of the Good News.We have had two baptismal services while Peter is with us. 6 people were baptised. 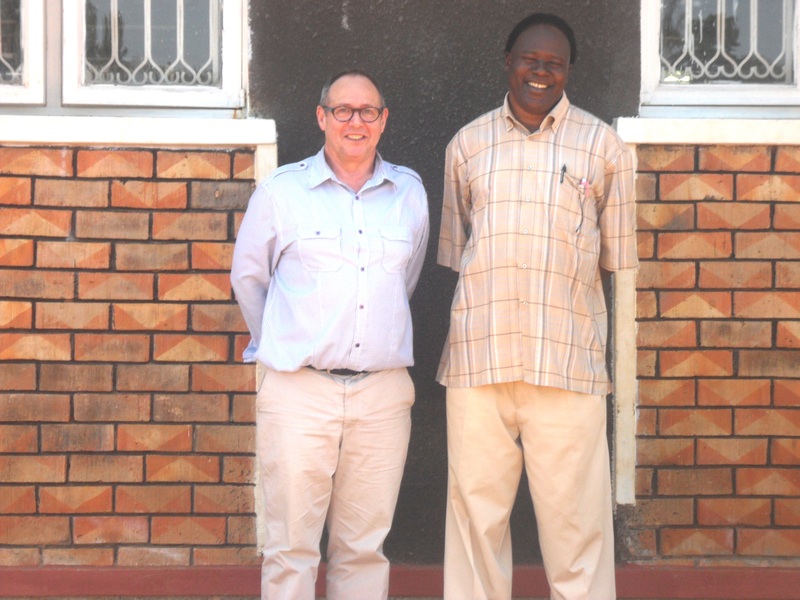 Peter had laid foundation stone for a church building in Ghotakamu village. We had dedicated a church in Peda Lingala village. As you can see God is doing great things. We are amazed, grateful and give God all the glory and honor. We do appreciate you for standing with us by your prayers and sending Peter to minister and partner with India Village Ministries. You have been tremendous encouragement to us. You are helping us to establish the Kingdom of God in the lives of many people in India that is dominated by idol worship and superstition. Our sincere thanks to all who interceded! “… an evening no eye has seen before…” These words were spoken as part of the final prayer of thanksgiving to God as we left Kaberamaido. 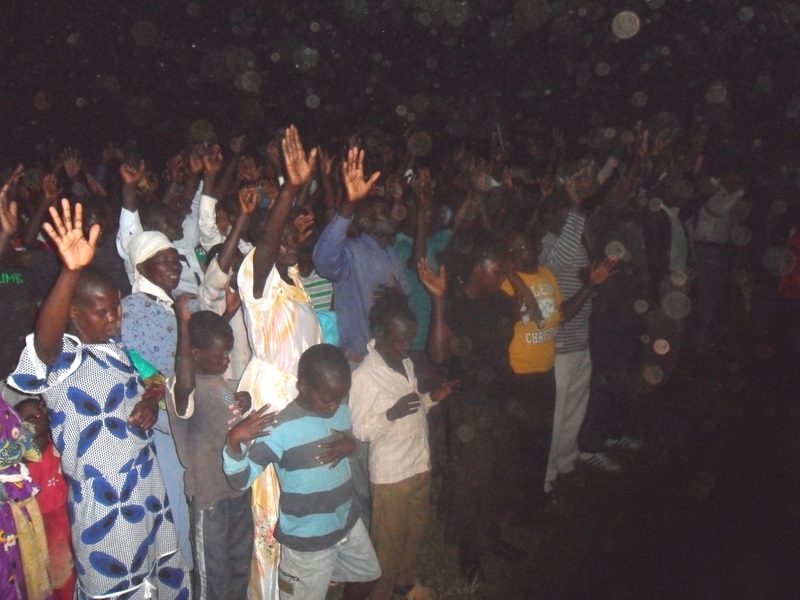 The intercessor was refering to the final crusade, the largest ever gathering of people in Kaberamaido District, followed by the first time the leaders of the 13 denominations sat together, ate together, prayed together and discussed how to disciple the large numbers of new converts. It was for them truly remarkable. It could have been even more remarkable, but we ran out of time and resources for mobilisation in the preparatory stages, not fully realising what God is doing here. It was good nevertheless – over 1000 people attended the seminars each day, and certainly many thousands came to the crusades and films every night. Over 4000 apparently responded for salvation. Miracles? Yes – notably one demonised young man, a University student, recently cursed by a witchdoctor and unable to speak as a result, was set free and spoke again. We sent him to hospital in Kampala for medical checks. Our sound system was woefully inadequate, despite upgrades, additions and improvements, so we hired in suitable equipment and a technician. The authorities became anxious because of the large numbers of people, and severely curtailed the evening programmes, but there was no trouble. We had police control anyway, but they were not needed.